One sector in particular that is bringing tourists to Belize is cruise ships. Belize welcomed over one million cruise ship tourists in 2016. For a country of only 350,000 people, that is a lot of tourists to cater to and welcome. Cruise ship tourist arrivals in general saw a 4.9% increase in 2016 compared to 2015 in Belize. But it’s not just cruise ships. Belize tourism in general is growing strongly. In 2015, Belize welcomed in 341,000 (non-cruise ship) overnight arrivals. In 2016, that number made a massive jump, to 385,000. That is a 13% increase in overnight arrivals to Belize from 2015 to 2016! Any industry that can report a 13% growth rate in just one year is clearly an industry that is going places. 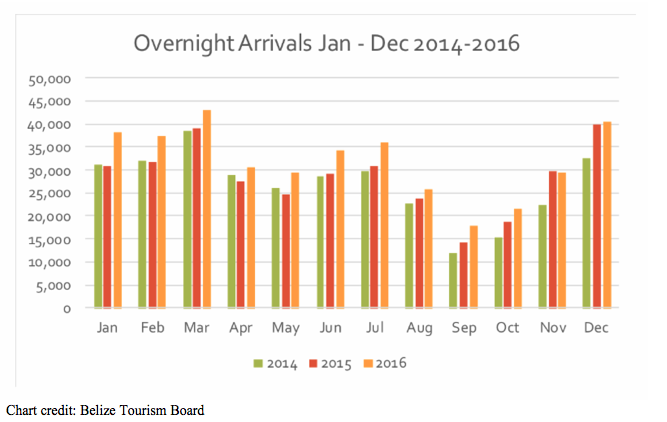 Every month in 2016 saw an increase in overnight arrivals as compared to the previous 2 years, with the exception of November, which was essentially equal to 2015 (but still above 2014). You can see the increase for yourself in the chart below. Part of this growth might be due to the increase in available flights to Belize. Several major airline companies increased their services to Belize in 2016 including big-name companies such as WestJet, a major Canadian airline. And the flights keep coming! The beginning of 2017 marks the beginning of a new route to Belize City from Fort Lauderdale. This flight is being offered by Southwest Airlines. And here’s the best part; the tickets are an incredible $79 one-way! Less than a hundred dollars for an airline ticket to a tropical country? No wonder tourism in Belize is booming. Of course, it’s more than just the affordable airfare bringing tourists in to Belize. 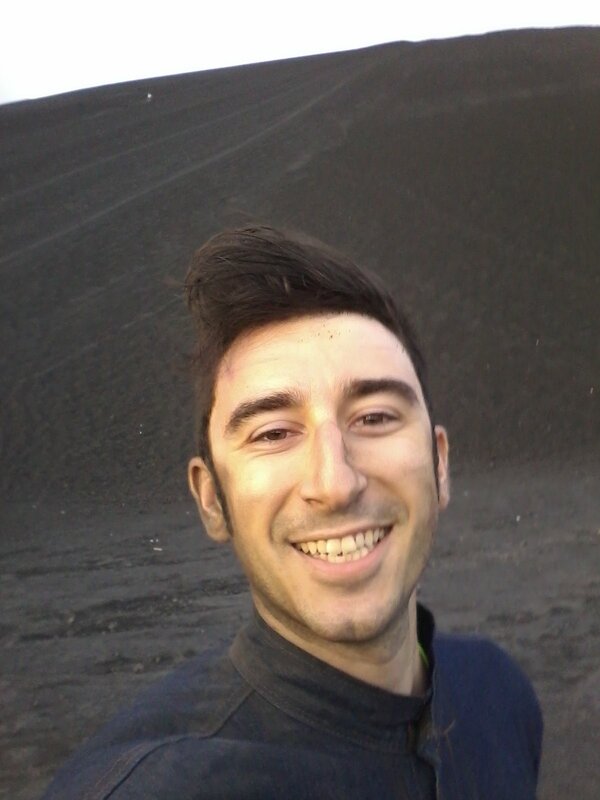 The country is full of natural beauty and adventure. From snorkeling in the world’s second largest coral reef, to Mayan ruins, to some of the best bonefish, permit and tarpon fishing in the entire world, Belize has something for everyone. The fact that English is the national language of Belize makes traveling to Belize that much easier for North American tourists. Why vacation in Mexico and struggle to communicate when you can vacation in Belize instead and be able to make friends with everyone you meet? Between the English speaking population, the abundance of incredible natural beauty and adventure, and the absurdly affordable airfare, it’s no wonder so many people are visiting Belize. The numbers show it, with 2016 being the best year for tourism in Belize in two decades. And it looks like it will only continue. Contact us, and book your very own vacation to Belize. Or better yet, learn how you can become a part of this massively expanding industry by investing in a your own revenue-producing condo. Tourism in Belize is booming; get involved and you too can profit from this rapid-growth industry.